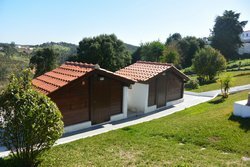 Charming typical Portuguese villa with private swimming pool, 2 chalets ideal for renting out, superb countryside views, double garage and tranquil terraces. This is a wonderful character property, very well priced and presented. It is south facing with spectacular views of the surrounding countryside. Accommodation consists of living room, sitting room with fireplace, equipped kitchen, 3 bedrooms of which 1 is en suite, laundry room plus lots of storage space. Outside there are 3 furnished wooden chalets providing a good rental opportunity, two have shower rooms and one has cooking facilities. 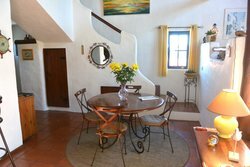 There are some great terraces, a double garage, private swimming pool 5x3 metres and a barbecue area with sink and bread oven. This is a great location on the Silver Coast with all amenities, beaches, golf within a a short drive. It is a few minutes drive from the seaside town of Sao Martinho do Porto famous for its oyster shape bay. 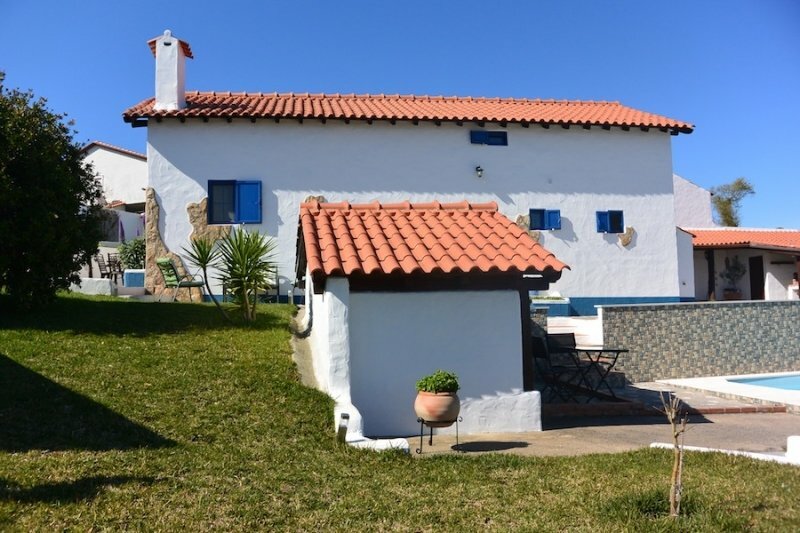 By car it is 10 minutes away from Caldas da Rainha and about 10-15 minutes from the beaches of Foz do Arelho, 20 minutes from Peniche or Nazare with their marinas, 20 minutes from several golf courses, like Praia D'El Rey, Bom Sucesso, Royal Obidos. The capital city and airport of Lisbon is a 45 minute drive and Porto airport is 2 hours 20 minutes.